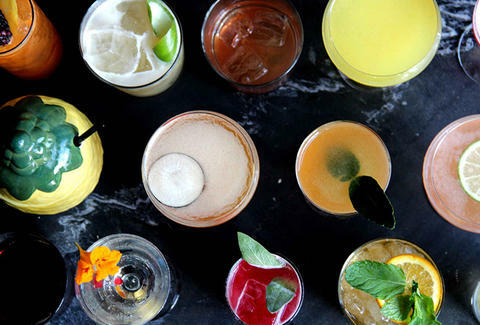 Get ready to cruise through not one, not even two, but three of Miami’s finest watering holes as part of our Raise The Bar happy hour, complete with superbly sippable rum cocktails at tasty prices. It all goes down on Friday April 24th and May 1st. What you can drink: The Rites of Passage, a mix of rum, lemon, ginger syrup, celery bitters, and basil. What you can drink: A literally (figuratively) magical mojito with agave nectar. What you can drink: A Dark & Stormy featuring cardamom and bitters.